Everything is fast paced nowadays. Women like us don’t have all the time in the world to stop and shave every single morning. But thank God for epilators – we no longer need to bother with hair removal on a daily basis. 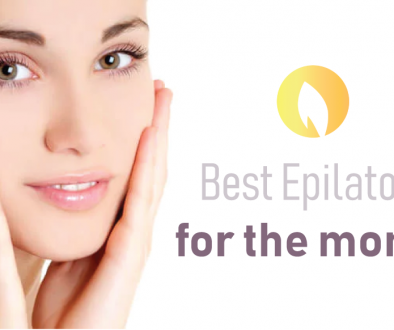 Even better is that we now have epilators that make the process so much easier for us who remove hair at home. 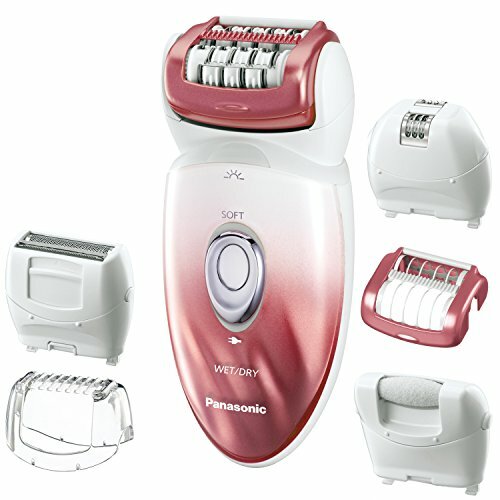 The Panasonic ES-ED90-P is an epilator that comes with 6 different head attachments that will take care of unwanted hair anywhere in the body. It also claims to be great for sensitive skin because of its hypoallergenic blades, and that it’s gentle enough to not hurt as much as other epilators. I reviewed Panasonic’s cute Multi-Function Epilator and Shaver and used it for a few weeks. 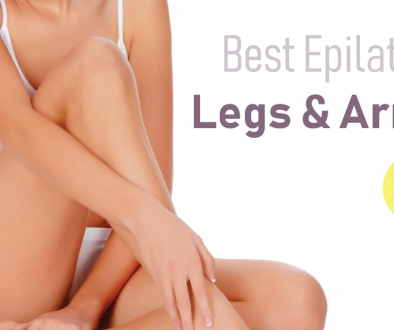 Here is how this epilator worked for me. I was never one to tolerate pain for the sake of looking good. And let’s face it: being a body hair-free woman is the equivalent of looking good and acceptable in our society. Even though shaving left my legs feeling rough only a day after hair removal, I never tried having them waxed to get rid of that part of my daily routine. It was going to be worth it, they said. It would take a week before I see regrowth, they said. But I never listened because I was a coward. I don’t even know why I bought this metal toothed device called the epilator when I was scared out of my wits of wax. Just kidding, I know why. I was tired of having to shave every morning before I go to work and feeling the rough stubble all over my legs when they get in contact with each other. Because a razor only cuts the hairs, it doesn’t leave a lot of time before you feel the hairs coming in again. I bought the Panasonic ES-ED90-P Epilator and Shaver, and I justified it by telling myself that if I didn’t like the epilator head, at least it had a shaver head that I could use instead. After over a week of putting it off (and waiting for the hairs to grow long enough), I finally sat down one Saturday night and began the worst and only torture I would ever put myself through. It hurt, alright. The epilator pulled out the hairs off my legs and it left angry red dots from where, I assumed, the hairs once stood. I debated if I should continue my suffering or not, but I was determined to finish what I started, so I kept going and I even drew blood in some places. I wasn’t too shocked because I had read reviews saying something about a little blood but I was scared nonetheless. After epilating on both my legs, I decided that I couldn’t handle any more so I put off working on my armpits until the next day. I also read that the pain of ripping armpit hair out is a lot worse. I proceeded with epilating on my armpits and as expected, I almost passed out. It hurt really badly but at the same time, I was excited to see how my armpits were going to look afterwards because my legs look and feel super-smooth. No stubbles, no rough feeling! I can’t say anything bad about this particular epilator because all my complaints were just typical epilating downsides. I haven’t tried others, but I don’t think that it hurts any more or less than any other epilators as I have only experienced everything I was warned about on several forum threads about the procedure. I can say that the Panasonic’s cute Multi-Function Epilator and Shaver is a great product and non-intimidating, so if you are also a beginner like I was, I highly recommend this device.